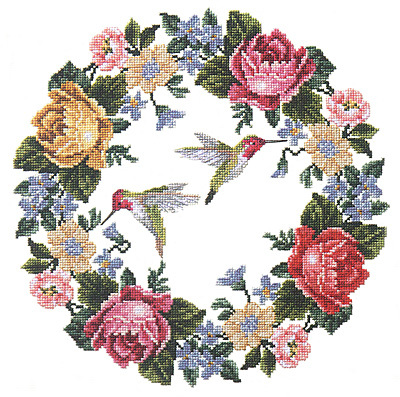 Lovely flowers and hummingbirds make this wreath kit a true treasure. Quality stamping makes this kit easy to stitch. Each kit includes Printed Fabric with Wash-Out Ink, 6-strand cotton floss, needle, chart and instructions.